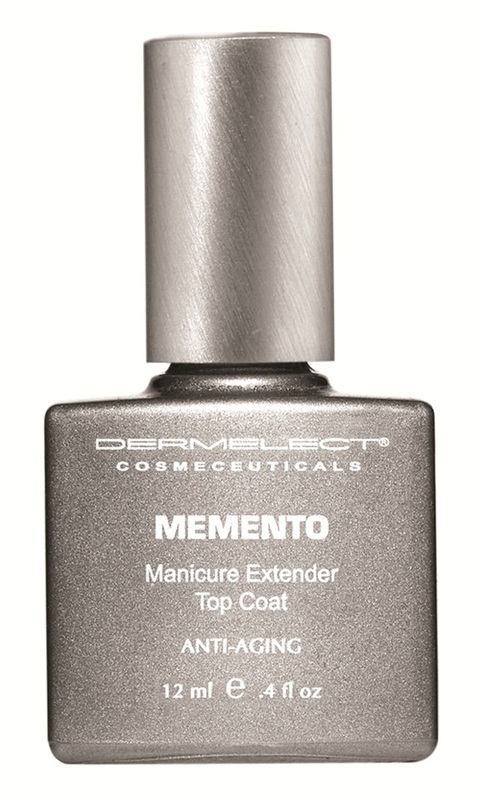 Activated by natural light (rather than UV or synthetic), Memento Manicure Extender by Dermelect is a top coat that provides an impeccable, chip-free shine that lasts up to a week. This smooth, bubble-free top coat glides on evenly, keeps color in place, and dramatically cuts dry time when used over any polish color. For more information, visit Dermalect.